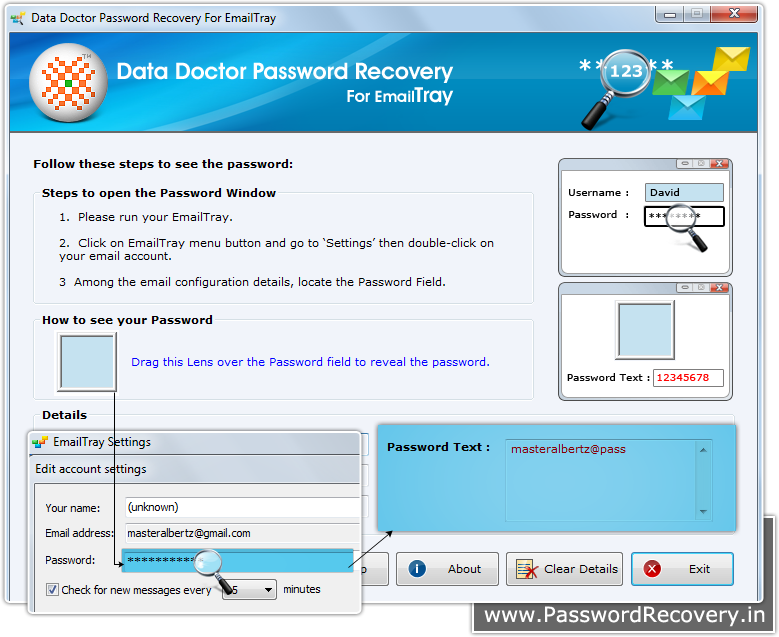 Recovers lost password from EmailTray Software. Compatible with Windows 8, Windows 7, Windows Vista, Windows XP and operating systems. 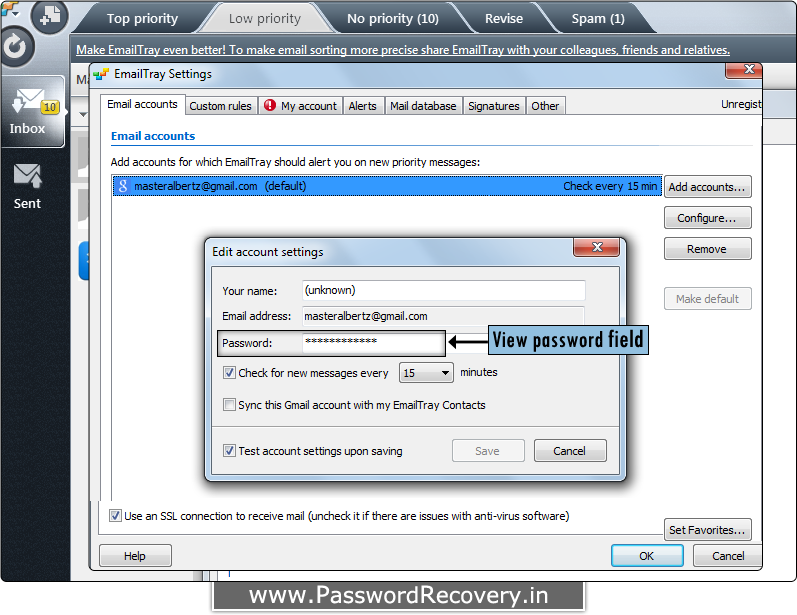 Recovery of password using "Password Recovery Software For EmailTray"
How to Recover Password from EmailTray software? 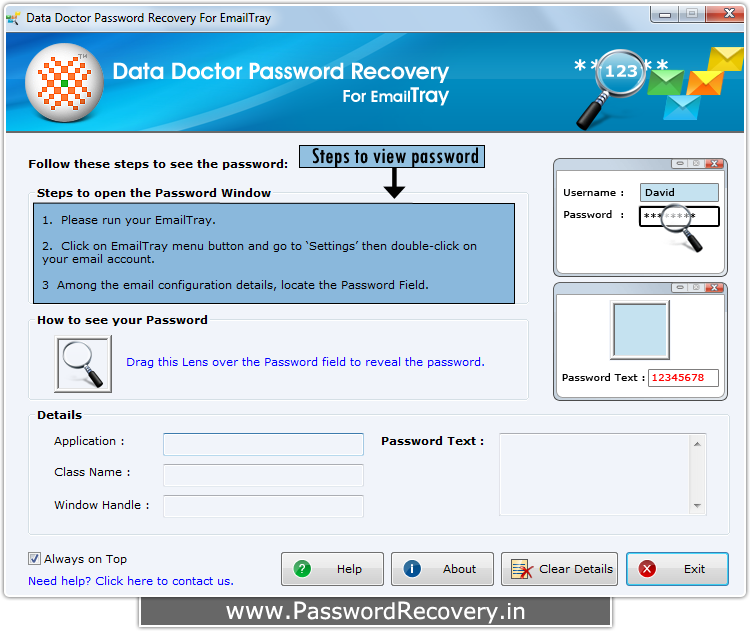 Install “Password Recovery Software For Email Tray” on your computer. 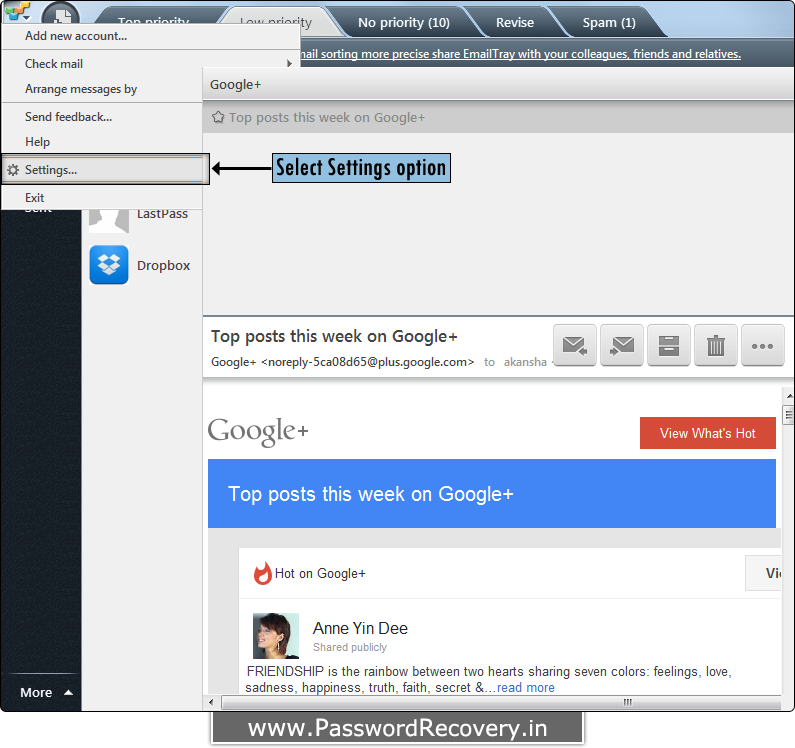 For password recovery, first open your Email Tray software then select 'Settings' option. 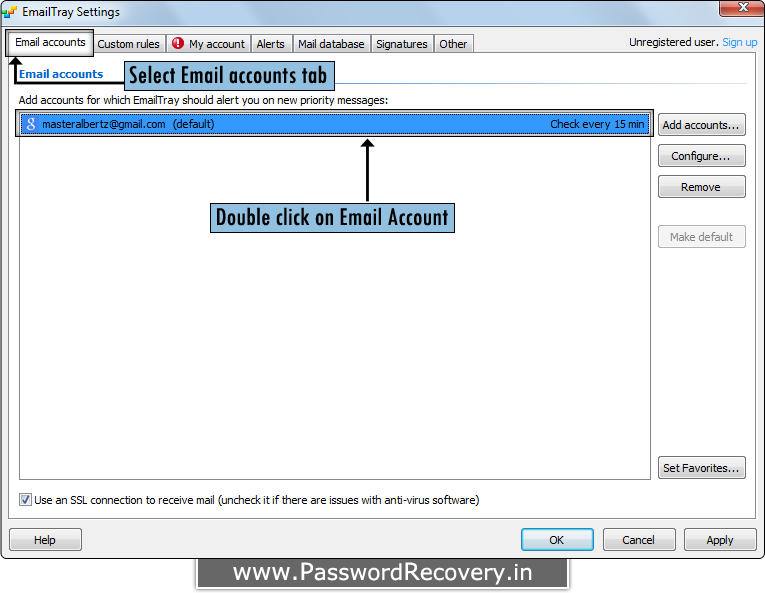 Go to 'Email accounts' tab and double click on you email account to select. After selecting your email account, you are able to see the password field. Drag lens over the password field to recover password. 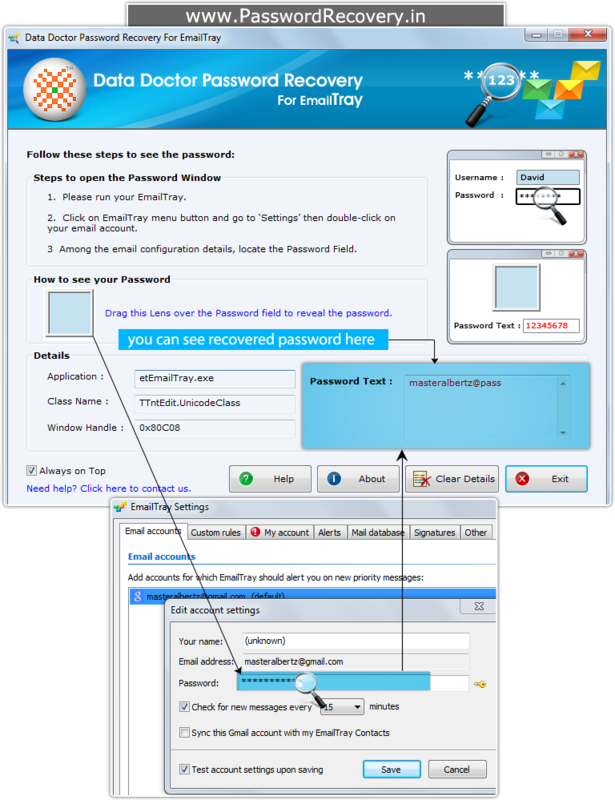 Recover password (for e.g. masteralbertz@pass) is shown at the right of above screenshot.